Not everyone favours the sport part of a skiing holiday, instead preferring the Après ski and the resort facilities. Think hot tubs in the snow, sipping champagne, or parties on the slopes at lodges. A lot of the Ski resorts have realised that this is high in demand now, and therefore have many chalets and lodges than come with private hot tubs, and if not, some public ones. Personally, we can think of nothing better than coming home after a day on the slopes, and getting into a pre-heated hot tub overlooking the mountains. VIP chalets, have all the information you need to know about the resorts that accommodate this. Below, we have listed our favourite resorts for the best Après Ski activities. Having had a bit of a refurb, including a 5-star hotel, chalets and apartments and with over 40 bars including the most famous dancefloor in the skiing world, Folie Douce. It is situated in the heart of the mountain and is the highest ski resort In Europe at 2300m. Due to the height of the resort, is it the perfect place regardless of when in the season you are going. It is also home to the largest nightclub in the Alps. Malaysia is open from 10pm until 5am and can hold up to 2,500 people. It has been open for 25 years and is a popular place for those wanting to party the night away. World renowned for it’s Après ski, St Anton is a favourite for many. Krazy Kangurah, it’s most famous venue, has been open since 1965 and attracts a whole host of skiers. Owned by Mario Matt, World Slalom Champion, who knows how important Après ski is to everyone’s winter sports holidays. With a good taste in music, beers and Jaeger flowing, it’s hard to miss on the slopes. You may even end up dancing on the tables, as this seems to be a running theme for the KK clientele. You can also find a good crowd at Mooserwirt, starting the party a bit earlier on at 3.30pm, famously blasting out ‘The Final Countdown’ to start the evening off. If you are a keen cocktail connoisseur, this is the place for you. With a week aptly named ‘Après Ski Cocktail Classic’, all the best mixologists around come together to bring their talents to the fore front. Also with a world class wine and steak dinner available at Element 47, you are able to enjoy both ends of the spectrum. With 39 Degrees, a fond favourite for the famous and the elite, there is a stigma that Aspen is all about the high-end life, but it has ensured all feel welcome. If you’re planning a winter sports holiday, just remember to invest in specialist travel insurance before you leave home. Holidaysafe offer a range of winter sports policies created by skiers, for skiers. 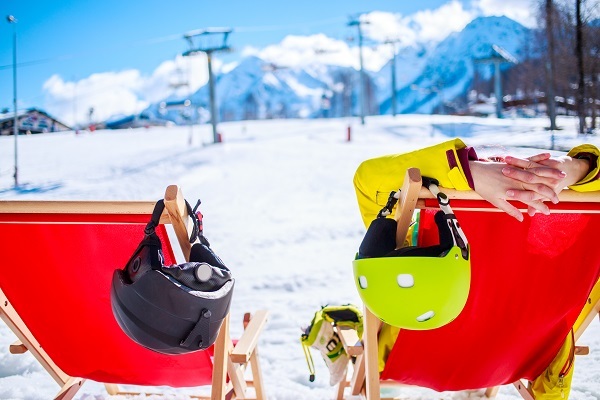 Top tips for your first ski holiday. For all your Winter sports Travel Insurance needs, click here.